facts are especially relevant now; with Amazon making some of the most expensive company acquisitions in the most unlikely industries, there is lots of speculation as to why and what is Amazon.com really going on. Often, the best way to predict what a company will do in the future is to examine what they’ve done in the past. The largest retailers on the planet are Walmart and CVS. Amazon.com is third and closing. But unlike numbers one and two, Amazon has never manufactured a single, physical product; nor does it have a brick-and-mortar storefront. Instead, Amazon focuses on selection, price, and convenience to make customers’ lives easier and better. And every transaction occurs through a website. It’s been an incredible journey, and one that still feels like it’s just getting started. 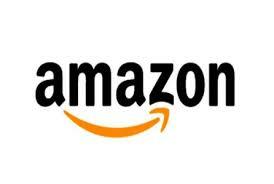 Here are amazing Amazon.com facts to inspire your company. When a company is able to make its customers’ lives easier and better by focusing on selection, price and convenience, there is no end to what it can accomplish. Only the next big thing that will delight them. Do these Amazon.com facts help you to see where Amazon is going? Do these Amazon.com facts inspire you about innovations possible for your company? Do comment below.